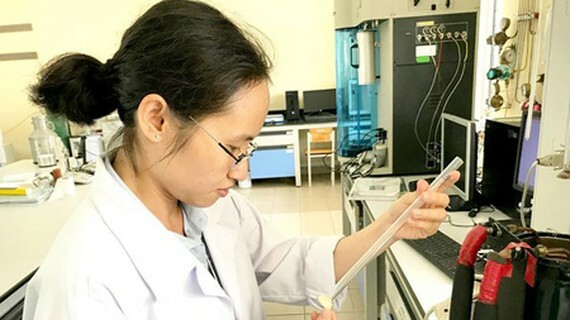 After graduating from the University of Science (Vietnam National University – Ho Chi Minh City), Nguyen Thi Kieu Phuong confidently pursued synthetic chemistry, focusing strongly on metal-organic frameworks (MOFs). Having conducted research for several years, Phuong was successful in transforming CO2 into a new material to be used in healthcare as well as industrial manufacturing. Recalling her time in the Center for Innovative Materials and Architectures (INOMAR - formerly Center for Molecular and Nanoarchitecture), Dr. Nguyen Thi Kieu Phuong shared that she was so lucky at that time to receive support for her study in MOF from her seniors, and most importantly Prof. Omar Yaghi from California University of the US (UCLA), which is a partner of the Vietnam National University – Ho Chi Minh City (VNU-HCM). Despite that help, in the period between 2011 – 2015, due to a serious lack of equipment as well as experts in the field of MOF, she met various obstacles and even had to temporarily stopped her research. However, thanks to encouragement from her teachers and colleagues in the center, Dr. Phuong persisted on her work and successfully defended her doctoral thesis in 2018, finding 10 new MOF materials. According to Associate Professor Dr. Phan Bach Thang, Head of INOMAR, thanks to the help of experts from UCLA, Dr. Phuong and partners gained much precious knowledge on MOF to boldly following a completely new direction of studying about the absorbance of CO2 to create new materials. Her research is published widely on prestigious international journals owing to its innovation. This success is also a proof of a wise investment of VNU-HCM into fundamental science, along with its direction in clean energy, pollution treatment, and material usage in healthcare as well as industry. MOFs are a new class of compounds formed by links between metal ions or clusters and organic ligands. Their advantages include a huge surface area, large-sized pores, spongy structures, circular frames. These materials can therefore be applied in several fields to store and separate gas or to become heterogeneous catalysis. In addition, the use of CO2 to create new materials is attracting much interest among scientists thanks to its usefulness to the environment and economy. Discussing her future goals, Dr. Phuong hoped that her research results could be used to reduce the amount of CO2 in the air and to become heterogeneous catalysis in synthetic chemical reactions in the pharmaceutical field. Also, she expected the new MOFs would be designed and applied in reality to cut manufacturing cost, to minimize chemical exhausted fumes released into the atmosphere. 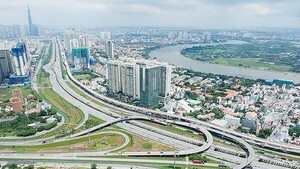 However, Dr. Phuong commented that turning a research result into reality requires much effort as it depends on various factors like current conditions, mechanisms, and financial status. Her team was able to form a strong foundation, so all that are left is a suitable method to make good use of that foundation. Hopefully, that method will be devised soon.